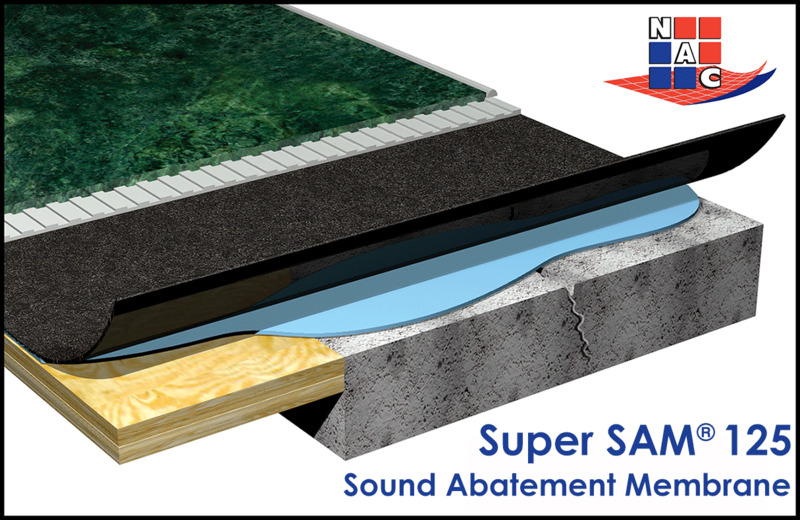 Super SAM® 125 is a self-adhering, sound-deadening sheet membrane chemically formulated to reduce airborne and impact sound transmission when used under stone, ceramic and porcelain tile, wood, and other hard-surface flooring. Super SAM® 125 is composed of modified elastomers, sound-deadening resins, and reinforced woven fibers. It is designed for use in applications without a sound-rated ceiling assembly. 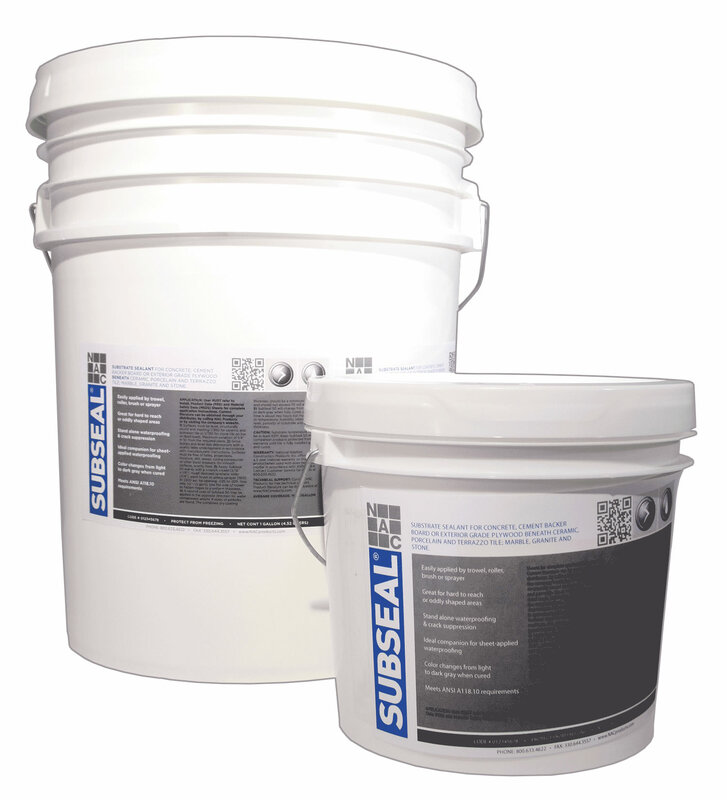 Super SAM® 125 has been extensively tested and certified for sound reduction on a variety of hard-surface substrates. For a bare, 150-mm (6-in.) 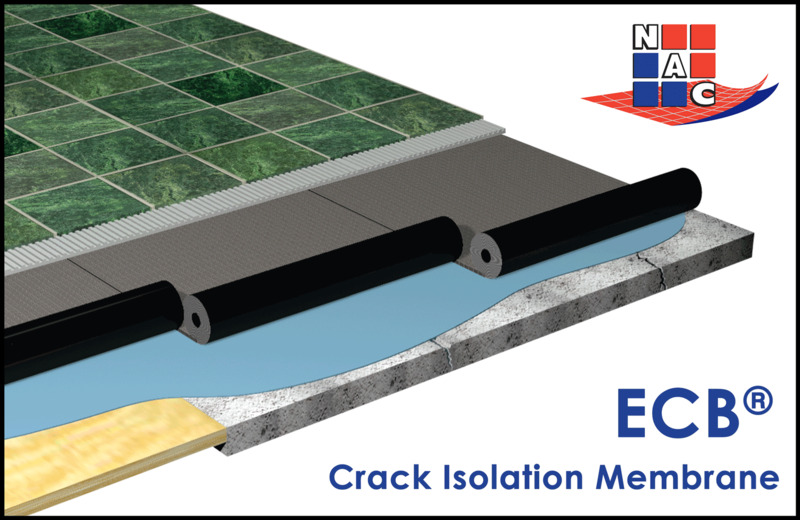 concrete slab, it has an impact insulation class (IIC) of 51, a sound transmission class (STC) of 54, and a delta IIC of 22. Super SAM® 125 is a perfect solution for applications requiring integrated sound abatement, such as apartments, condominiums, multi-level hotels, high-rise office buildings, media rooms, and children’s play areas. Landscaped green roof assemblies include both built-up systems and eco-roof tray systems. Either type may also include an insulating layer. Eco-roofs incorporate drainage, filtration, retention, and irrigation within one component. To meet the growing interest in urban vegetable gardening and raise awareness of healthy eating and food self-sufficiency, several organizations are constructing buildings and sites devoted to the ‘edible education’ trend. Phase 1 of the Marshview Park project, a Virginia Beach Parks & Recreation initiative, earned an Envision Silver award earlier this year for sustainable infrastructure. Plaza construction typically incorporates various products from different manufacturers intended to provide the thermal resistance, water management, structural capacity, and wearing surface needed to meet a particular project’s requirements.